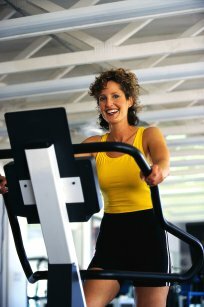 Nutrition and physical fitness go hand in hand as part of a complete fitness program. Paying attention to your nutrition can help you get more out of being active. Even if you make a conscious effort to eat properly, in this day and age, it is difficult get all the nutrition your body needs from the foods you eat. Everyone has a good idea of how to eat for proper nutrition. However, because of the many fast food restaurants and the convenience foods sold in grocery stores, it is hard for even the most disciplined person to get everything from their diet that they need. Another problem is that according to some studies the food we eat doesn't have as much nutritional value as it did in the past. To get the same nutrition from various foods as our grandparents we would have to eat more of certain foods. To overcome this problem it is important that everyone supplement their diet with vitamin and mineral supplements. 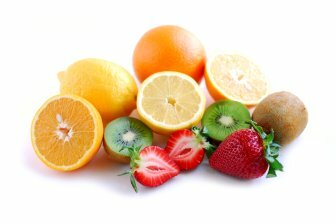 Vitamins and minerals are important because they help to insure a vibrant immune system. Therefore your body has more of an ability to fight off disease. Also most vitamins cant' be manufactured in the body and must be gotten from food you eat and from supplements. You don't have to become a fanatic in your use of supplements. If you take a basic vitamin and mineral supplement you should be fine. If you have other medical concerns, your doctor may recommend extra supplements such calcium for osteoporosis. Or, you may need to take extra vitamin C for your immune system for example. A minor problem that could occur is side effects from taking too much of any one vitamin. Taking a good multi-vitamin/mineral supplement, plus maybe extra vitamins for certain conditions or benefits should be enough for most people. If you are concerned about optimum health to help in feeling great and fighting disease, consider supplementing your diet with supplements for good nutrition and physical fitness. Learn more about diet and nutrition facts to establish sound health, have more energy, and promote physical fitness in general. Raspberry Nutrition - Raspberries and other berries are very nutritious, high in Vitamin C, fibre, and full of antioxidants. Anti Aging Information is a health and beauty guide that will help you look younger and feel great. Fight wrinkles and turn back time with the best anti-wrinkle creams, nutrition, exercise and more! Check out Anti-aging-information here.